After several years away, Xpressbet is proud to again feature French racing video for our customers. We were the first to bring you French racing, and we’re still one of the only wagering providers offering it now. Our video is a high-quality feed, complete with English-speaking commentators and race callers. France is famous for its gigantic commingled pools, which commonly reach or exceed $1 million per race. They offer a number of wagers familiar to North American handicappers, including Win, Place, Exacta and Quinella betting. Plus, have you ever heard of the OMNI? It’s one of the most popular bets in France. Abbreviated as on our Wagerpad as ‘SW,’ this Exacta/Trifecta hybrid offers an exciting, and better, chance of cashing a ticket. To win, pick two of the first three finishers of a race in any order. For example, if you place an OMNI wager with the #1 and #2 horses, you’re a winner as long as both of those horses run in the top 3, even if they finish 2nd and 3rd. Place bets in France pay out for the first 2 finishers in races with 7 or fewer runners and pay out to the first 3 finishers in races with 8 or more runners. 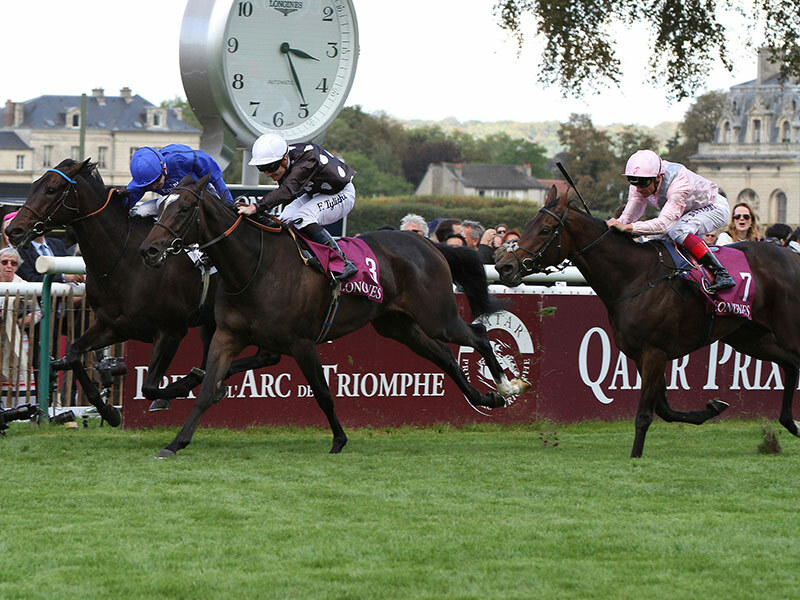 French horse racing is steeped in tradition and legendary events. Now, with the re-launch of video, you can finally watch prestigious events like the Prix de l’Arc de Triomphe, Prix d’Ispahan, Prix Morny and Grand Prix de Paris. Plus, we’re eagerly awaiting the return of racing to the renovated Longchamp Racecourse in 2018. Xpressbet customers will also have access to free past performances for French racetracks in the International PP’s section of the website.